When I was in Holland, I rented one of these Dutch bikes. Everyone rode them. Guys would give their girlfriends rides as they sat on the rear luggage racks, people carted around groceries, moms took their kids on bike rides. The Dutch bicycle was a way of life. 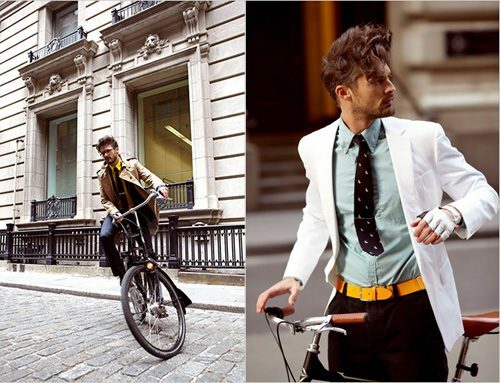 The NYTimes has once again used bicycles as inspiration for a fashion editorial entitled the Dutch Bicycle. Check out these $3,000 outfits!